Retro cap style meets 21 century technology. 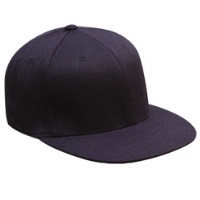 This high profile, structured cap equipped with a Flexfit® band looks great and is comfortable. The acrylic/wool/spandex blend looks expensive look while keeping its shape for every day wear.